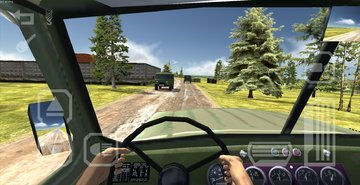 Travel along the roads of Russia for 8 machines, go to the ferry in the Crimea Start trip to Russia from Magadan to the Crimea. - Hometown and signs based on real-world tracks: P504 "Kolyma" M7 "Volga" M5 "Ural" M51 "Baikal". Some historic memorials. - Realistic physics and accurate specifications of all cars (including the time schedules and the gear ratios PPC). Working devices in each machine + 100% realistic lighting. Mirrors. Lights. Thoroughly researched the driver's hands. 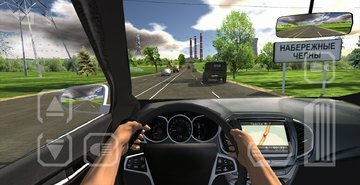 Only in this game is so realistic driver is controlled with the steering wheel and instruments! - More than 30 tuning parts for each machine (on foreign cars less) based on real-life parts. Now, not only the engine but also the wheels, xenon and other functional! - Detailed study of the sounds of cars, and now the game has an external tuning! - 6 popular Russian car + 2 foreign cars. Then it adds new car! - Now the game has twists and turns, fork and hills. - In comparison with Russian Drove 2: Baikal schedule has been greatly improved. - Russian traffic area number of regions. - Dynamic time, clouds, day and night, different weather (including rain). - A lot of settings and a special console for precise optimization of the game. Compete with other players! Show the best result of acceleration 0-100 kmh on the test range and compare it with other users online. Hit the top players! Updated: 21 февраля 2018 г.